The longest and most public war in the history of Bollywood is still on between Karan Johar and Kangana Ranaut. From calling him the 'flag bearer of nepotism' to suggesting that the director 'needs a dose of chyawanprash', Kangana has taken jibes at Karan on numerous occasions. And this 'war of words' was never one-sided. Karan retaliated and called Kangana 'jobless'. The ball kept going back and forth and the exchange of controversial statements kept getting pricklier! 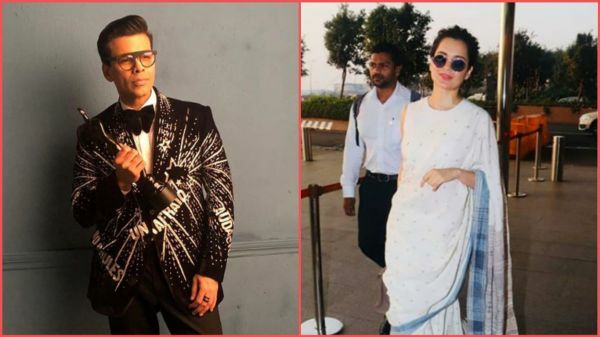 Just when we thought that this spat between Karan and Kangana would spiral out of control, Karan Johar gave the strangest statement in a recent interview. He called Kangana 'one of the best actresses' in the industry and even expressed interest in working with her in the future. Seems like KJo suddenly had a change of heart. Not more than a week ago, Karan had taunted Kangana Ranaut in an interview, claiming that he doesn’t love the subject of nepotism but 'someone else does'. He further said, "I don’t love this subject, somebody else does. So I have left it to that person to do all the talking and I will continue to do my job." 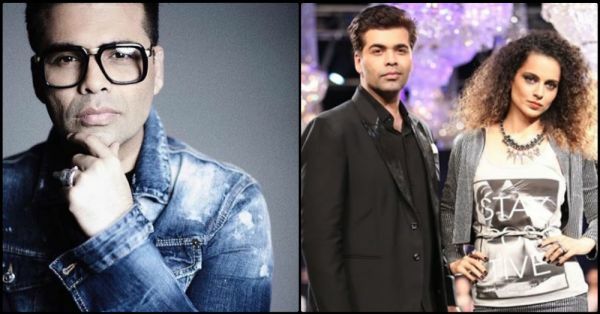 So, has Karan Johar finally decided to bury the hatchet after this public war of words? However, the white flag seems to be swaying from both the sides now. In a recent interview, Kangana confessed that in a world full of two-faced people, the one thing she likes about KJo is that he never has a mask on his face. Apart from Karan and Alia, Kangana Ranaut unleashed a slew of relentless remarks on Ranbir Kapoor, Rani Mukerji, Sanjay Leena Bhansali, and Pahlaj Nihalani. Meanwhile, on the work front, Kangana is shooting for Panga and promoting her film Mental Hai Kya. Whereas, Karan Johar has been busy with Kalank promotions and is also occupied with his upcoming multi-starrer movie Takht.